Board Member Marvin G. Lizama, Esq. 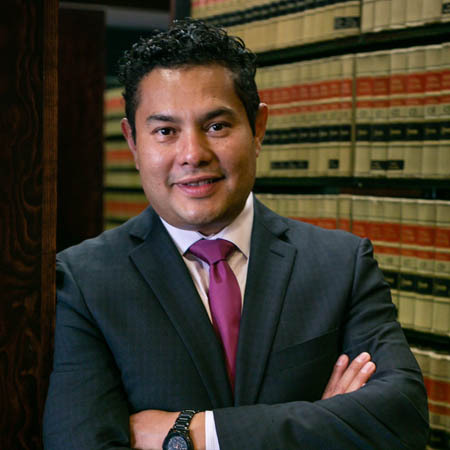 Marvin Lizama is a successful local attorney and Latino leader. He began his law career in 2006 as an associate at Brewster and De’Angelis P.L.L.C. In 2013 he founded his own firm, Lizama Law, where he focuses on criminal defense, family law, and civil rights cases. Since 2008, he has served as President of the Coalition for the American Dream, a nonprofit immigrants’ rights organization. Mr. Lizama has received many accolades throughout his career including the 2009 Outstanding Young Lawyer Award from the Tulsa County Bar Association, the 2010 Outstanding Junior Alumnus from the University of Tulsa’s College of Law, and the 2010 and 2013 Rising Star Recognition by the Oklahoma Super Lawyers publication. In 2012, he was honored by the Greater Tulsa Hispanic Chamber of Commerce for his exemplary leadership and commitment to community service and currently serves on their board. Mr. Lizama earned a BA from John Jay College of Criminal Justice and his JD from the University of Tulsa.